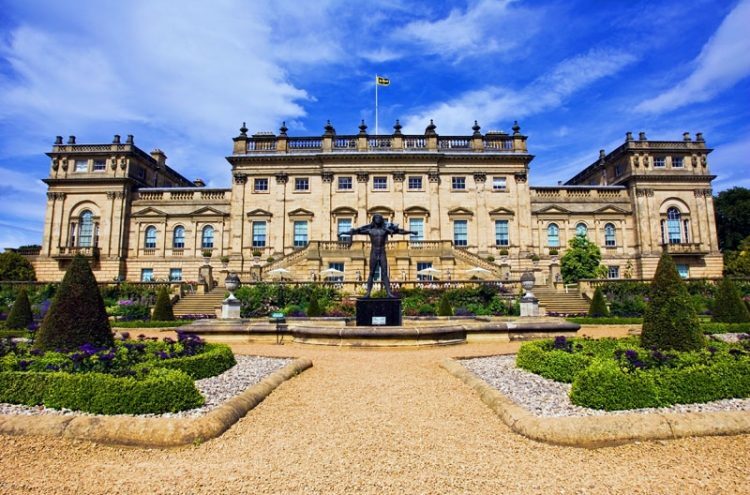 A day visit to Harewood House, the magnificent Yorkshire home of the Queen’s cousin, the Earl of Harewood is one of this summer’s expedition planned for our members. Nestling in a ‘Capability’ Brown landscape, Harewood is one of the great TreasureHouses of the world and is renowned for its magnificent architecture and outstanding art collections. The collaboration between renowned architect John Carr, the unrivalled interior designer Robert Adam and the master cabinet maker Thomas Chippendale has made Harewood one of England’s great houses. Since 1771, the owners of Harewood have added to its collections, resulting in an outstanding cache of fine and decorative art including Renaissance masterpieces, Chippendale furniture, 18th century portraiture, watercolours by JMW Turner, Sevres porcelain, photographs by Roger Fenton, Chinese ceramics and superb examples of 20th century painting and sculpture. The kitchens and servants’ quarters below stairs show how this great house actually functioned and includes many items from Princess Mary’s life providing a fascinating glimpse into the world of the servants. The former Housekeeper’s Room is home to a permanent display dedicated to HRH Princess Mary, the Princess Royal, mother of Lord Harewood, who lived at Harewood from 1939 until her death in 1965. Harewood’s Gardens are amongst the most beautiful in the country with plants from across the world. The restored elaborate Victorian terrace has intricate flowerbeds and colourful herbaceous borders. Below the Terrace Wall is the Archery Border with its sub-tropical plants. You may like to find time to explore the gardens and walks, the working Walled Kitchen Garden or All Saints Church with its fine collection of medieval alabaster tombs. In the Terrace Gallery you will have the opportunity to see the new Exhibition, ‘The Seven Eggs’, Works by Clare Woods. Clare Woods, has recently had a major solo show at the Hepworth Wakefield, and a commission installed in the Olympic Park. Her solo exhibition at Harewood includes three new works inspired by the ‘Capability’ Brown landscape surrounding the House. We will have a short stop for complimentary light refreshments at the Bull in Broughton, Skipton. On arrival at Harewood we will immediately enter the House for a private tour of the state rooms with our own expert guide. We will learn about key moments in the history of the House and family, hear anecdotes, family stories and how Harewood changed over the years. Following our private tour you will be free to explore the house, the kitchens and the gardens in depth. You can buy lunch at the Terrace Café, with its fine views of the gardens and lake, or take a short walk to the Café in the courtyard, or maybe you prefer Harewood’s fish and chip stall in the car park! Picnic tables are available in the grounds for those bringing a packed lunch. At 3.30 pm we will meet in a private room in the courtyard for complimentary refreshments and cake before setting off for home at 4.30 pm.